23andMe aims to make and support scientific discoveries to advance our understanding of the role of genetics in many traits and conditions. We strive to publish those discoveries in scientific journals, and help pave the way towards prevention and treatments. By participating in 23andMe research activities, you contribute valuable data that helps us in this objective. At the same time, you can learn about some of our research findings and how your answers compare with other participants. Research activities (surveys, questions, tests) are accessible through the Research tab located at the top of your homepage. Where can I view a full list of available surveys and questions? Questions are automatically loaded in your question stream as you continue to provide answers. Each time you visit the Research page in your account, you will be presented with unanswered questions, until you have answered them all. How can I find more information about the survey I'm taking? Each survey that appears in your question stream includes a brief summary of the topic. Do you offer surveys in a printable form? We are currently unable to provide printable surveys because of the way survey questions are generated. Many of our surveys are generated based on the answers users provide to previous survey questions. So while there may be 300 total possible questions in a survey, any one user might only be presented with a dozen or so, depending on their answers to previous questions. Thus, one user's "Allergies" survey experience may end up being very different from another user's "Allergies" survey experience. Presenting this personalized survey experience to each user - based on their previous answers - would be very difficult to achieve in paper form. Can I edit or review my answers? You can edit or review your answers to Research questions at any time by clicking here or by logging into your account and hovering over the Research tab located at the top of your homepage. You will see Search & Edit and you will be directed to a list of all editable questions relevant to your profile. You can search for a specific topic or term of interest, or use the filters located on the left side of the page. These filters allow you to search for completed and incomplete surveys and quick questions. You can also filter through surveys and quick questions independently. If you search for a term that appears in both a quick question and a survey, both will be surfaced for you. If the topic or term appears in a survey, you can click on the name of the survey to see which questions in the survey match your search term. Some surveys will not appear on this page and are not available for edits because the survey has been closed. Additionally, you may see some surveys listed in your account that you are not eligible to answer at that time. These surveys may only be available to customers that are enrolled in a specific research study. By answering online survey questions and allowing researchers to combine your genetic data with millions of other data points, you can help drive scientific and medical discoveries. You have access to Discoveries within your account. These may show how your responses compare to other 23andMe users or may showcase 23andMe findings made possible thanks to the contribution of customers like you. Additionally, you can locate the papers 23andMe has published using consenting customer data from within your account. Am I required to participate in Research activities? By comparing people who do and do not have a specific condition or disease, genetic research can help identify new or unexpected factors that influence when and how a disease develops and whom it affects. This knowledge can lead to novel therapies or treatments. For example, genetic markers associated with age-related macular degeneration* (AMD) have revealed that inflammation plays a key role in this common cause of vision loss. Based on these findings, drug treatments that target inflammation are now being investigated for AMD. If I do not have the condition in the survey, why should I complete a survey on that condition? Your answers are very valuable even if you do not have a certain disease or condition. For our genetic research, we need to compare people who have a condition to those who do not. By completing surveys - even if you don't think they apply to you - you can serve as a research control. Discoveries are a way for us to share interesting data and findings from 23andMe with you. These can be early discoveries 23andMe has made, or more background on the genetics of a particular topic or trait. You can find these discoveries from the Research tab in your account. Keep in mind that they are preliminary and are meant for informational purposes only. 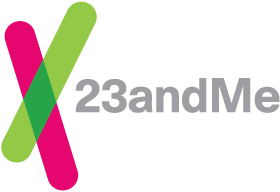 You can access 23andMe Research Discoveries from the Research tab in your account. *The Age-Related Macular Degeneration genetic health risk report (i) is indicated for reporting of the Y402H variant in the CFH gene, and the A69S variant in the ARMS2 gene, (ii) describes if a person has variants associated with an increased risk of developing age-related macular degeneration, and (iii) is most relevant for people of European descent. **The 23andMe PGS test uses qualitative genotyping to detect clinically relevant variants in the genomic DNA of adults, from saliva collected using an FDA-cleared collection device (Oragene·DX model OGD-500.001) for the purpose of reporting and interpreting genetic health risks. The relevance of each report varies based on ethnicity. Our genetic health risk reports describe if a person has variants associated with a higher risk of developing a disease, but do not describe a person’s overall risk of developing the disease. The reports are not intended to diagnose any disease, tell you anything about your current state of health, or to be used to make medical decisions, including whether or not you should take a medication or how much of a medication you should take.